As mentioned in Part One, to help direct our work with our community to create positive change in Washington’s education system, we sent out a survey via email and social media channels in May to learn how Washington community members would like state education funding prioritized. We thank the 737 people, from 71 school districts across the state, who submitted responses. Across Washington state on February 13, communities voted on local levies to continue funding for enrichment programs and capital projects at district schools. Here are frequently asked questions about those levies. 1. What is a local levy? a. A local property tax passed by voters of a school district that generates tax revenue for local school districts. All money generated by school district levies goes directly to the school district to pay for enhancements to the state funded basic education. By voting for a local levy, voters are voting for an additional property tax in their district. 2. How many school districts have a local school levy? 3. What is basic education? a. Basic education is the educational program that the state is responsible for funding. i. The state Legislature defines the program of basic education and is required by the constitution to amply fund it. The state defined program of basic education is the minimum that districts are required to provide students—districts may offer additional programming and services with local funds. 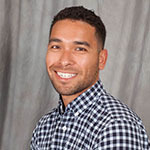 Currently, the program of basic education includes the number of hours and days of school that districts must offer, academic standards, and specialized instruction for students qualifying for special education, English Language support, and below or above standard academically. At the League of Education Voters (LEV), we recognize all of the hard work that you do toward improving public education across Washington state. We are pleased to announce our Activist of the Month for February: Heidi Bennett. Read more about her experience as a strong advocate for K-12 and Higher Education. Heidi Bennett is one of LEV’s most involved and dedicated key activists. She first entered the activism arena when her kids were in preschool, at the turn of the century. Her big question: to send her children to public or private school? When Heidi moved from New York to Seattle for a better way of life, she never imagined she would be sacrificing her kids’ education. Joining local PTA and then Seattle Council PTA, she began speaking to PTAs in the Seattle area about how Washington schools compare to those in New York and other states, and how they need to advocate for better schools and better outcomes. In 2006, Heidi gave her first testimony at a Washington state Senate hearing, emphasizing that we deserve to do better for our kids. She was so persuasive that a key Senator suggested that she do the opening prayer for the Senate. Heidi’s activism took on a life of its own. She became heavily involved in the push for simple majority for school levies and fought hard for the Basic Ed “It’s Basic” campaign with Governor Chris Gregoire. She’s been the Legislative VP of the Seattle Council PTSA, board member and presenter for the Seattle Schools First levy campaign, and several years as the Regional Legislative Chair for Washington State PTA. She has reached hundreds of parents with her “What’s up with WA State Education” presentations and several years ago delivered over 5,000 postcards to Washington state Legislators and the Governor during WSPTA Focus Day. Heidi has also served on several district task forces/committees for highly capable, capacity, and others. Lately, Heidi continues to engage and educate parents with education panels and PTA talks on Basic Ed. Her most recent panel last week in North Seattle included both high school issues and state funding, and featured Representative Noel Frame, the Government Relations Director of the Association for Washington School Principals, the Legislative Chair of the Seattle Council PTSA, Seattle School District officials, and the principal of Ballard High School. Heidi has educated hundreds of parents on why they need to advocate. Heidi grew up on Long Island and is a first-generation college graduate. She finished her degree at night, working full-time. She says, “You can’t do that in Seattle – there are not enough opportunities to earn an affordable degree at night at a less-expensive public college. I understand the challenges.”. Professionally, she cut her teeth in marketing on Madison Avenue, earned her VP title, and then moved to Seattle where she was the Director of Client Services for a downtown agency. She started consulting to focus on family life, and is winding down that chapter. Heidi’s kids are recent graduates of the Seattle School District. 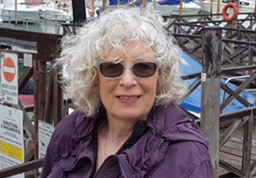 Her daughter graduated from Ballard High School and is now at the University of Victoria. Her son graduated in 2016 through Running Start, and is now a rising senior at the University of Washington. 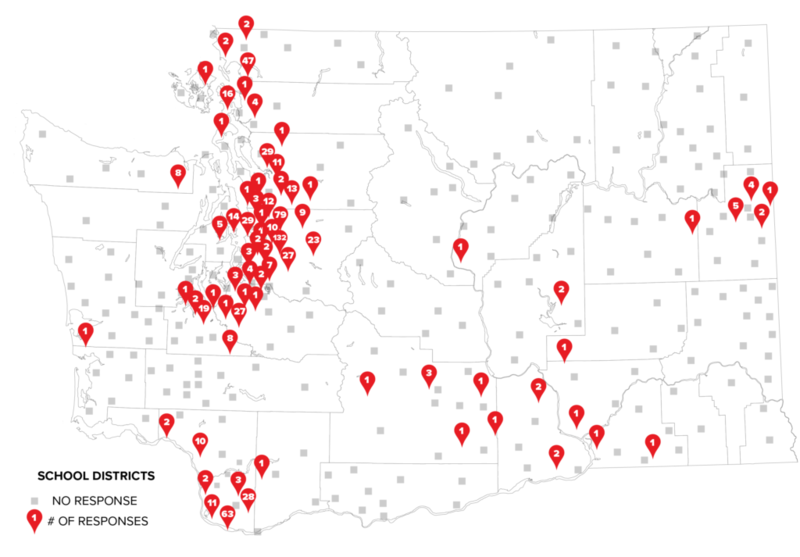 This February, in nearly 60 local bond and levy elections across the state, Washington voters sent a strong message of support to their local schools by approving 55 school levies, raising more than $817 million dollars for schools. Sixteen of the 27 bonds passed, raising $1.11 billion for districts across the state. 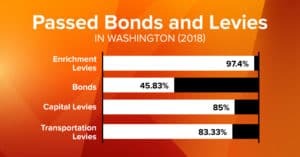 Unlike levies, the passing threshold for bonds is 60 percent. If a simple majority were the threshold, nine other bonds would have passed, raising an additional $694 million for school districts. A bill was introduced this session by Rep. Mia Gregorson to change the passing threshold for bonds to 50 percent, but it did not make it out of the House Education committee. Of the 55 levies that passed, 44 were for maintenance and operations and raised $804 million total for districts across the state. Eleven of the 55 passed levies are capital levies, which raised more than $12 million for schools. Eight of the levies passed thanks to simple majority, a 2007 voter-approved constitutional amendment supported by the League of Education Voters. Between 2008 and 2015, nearly $5 billion was raised for schools through local levies. You did not see that headline last week, but you should have. You may have read reports about levies in a particular district or county, but there was precious little attention paid to what happened all across the state. What happened was that voters overwhelmingly supported their local schools and voted for $2.6 billion in taxes to support education. Let’s say it again: Voters overwhelmingly supported their local schools and voted for $2.6 billion in taxes to support education. Out of 295 school districts, 157 went to their local communities seeking support to the tune of over $2.7 billion dollars in property taxes. Out of the 157 school districts that put levies on the ballot, 152 of them passed. In a time where we hear that voters will not support revenue, the local election results stand in stark contrast to that narrative. In most cases, local dollars make up around 25% of the total operating costs of a school district. We are a far cry from local levies being about the “extras” they were originally designed to provide. As the economic crises drags on, the importance of local levies has increased. Local communities have responded to that crisis with overwhelming support for their schools. It seems odd, but Washington state has a fondness for requiring super majorities when it comes to revenue. It used to be that local schools had to receive more than 60% of the vote to secure a local operating levy. Thanks to Simple Majority (also known as I-4204, passed in 2007) we returned to the most basic of democratic principles, majority rules. 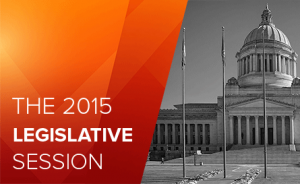 That means that 51 levies representing $1.2 billion have passed because of Simple Majority. That is $1.2 billion to support the students in those districts that they otherwise would not have received. Our support for majority rule extends to the state Legislature, where the law currently requires two-thirds majority to raise revenue. The I-1053 lawsuit, which we filed along with the Washington Education Association and other plaintiffs in October, will have its first hearing in March. We hope that the combination of the McCleary ruling and the eventual ruling on I-1053 will clear the way to fund our schools at the level they need, and local voters seem prepared to support. 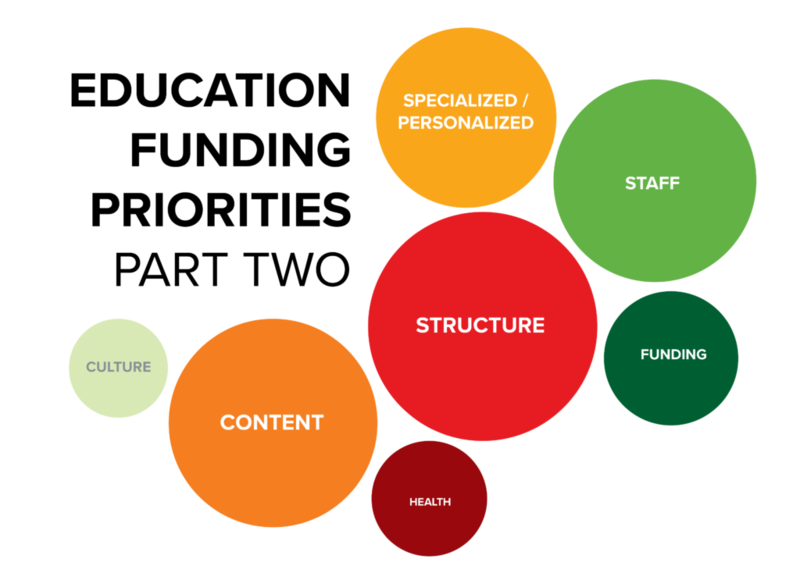 This blog post was written by Barb Billinghurst for our edCored series on education funding. Barb is one of LEV’s Key Activists and school finance researcher. If you want to be notified when new content is published in this month-long series, please subscribe to the LEV Blog’s RSS feed or once-a-day email digest. The constitution has been interpreted by State Court judges in 1978 and 1983 to mean that the state must define and fully fund basic education. Further, the Court said the state cannot require districts to use local levies to fund basic education. With such powerful words you would think that state dollars would figure prominently in the funding of K-12 education. And judging by the length of the red bars below, the state in fact has always funded the lion’s share in the last 19 years. Source: Based on data from Table Two: Ten-Year Comparison of General Fund Revenues and Other Financing Sources per FTE Student in Section One of the State’s School District & ESD Financial Reporting Summary for various fiscal years. 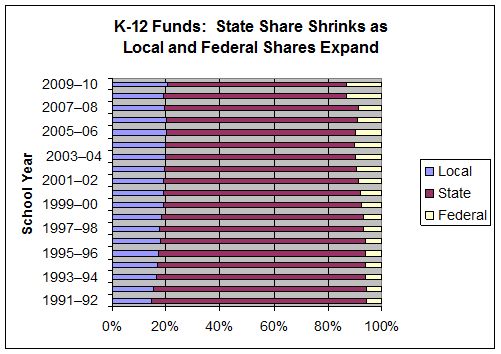 But over time the state share has declined. Starting out at 78 percent in school year 1991-92, it fell to 65 percent in school year 2009-10. Does the decline in state share signal a retreat from the state’s obligation to fund basic education? Yes, since 1994, the state’s contribution to total (from local, state, and federal sources) spending per student steadily lost ground against inflation as measured by the Seattle Consumer Price Index. To match the purchasing power of its contribution in 1994, the state would have to spend at least $200 more per student in school year 2009-10. Meanwhile, the local share grew from 15 percent to 20 percent since school year 1991-92. Local levy funds have become essential to our children’s education. In fact, superintendents, school board members and even OSPI officials have all testified that, despite state law, local levy dollars fund basic education. Evidently, this is a practice that has gone on for some time. Superintendents from districts large and small testified repeatedly that districts are facing a financial crisis primarily because they have to increasingly rely on local levy funding to make up the difference between what the state provides for basic education programs and what it costs to carry them out; to meet the needs for additional programs to bring all students up to state mandated standards; to fulfill collective bargaining agreements for non-state employees; and, to pay for unfunded mandates. There could be no doubt that if the state properly funded basic education, levies would serve their original and important purpose. That is, they would provide flexibility for local communities to go beyond the basics to enrich their school programs, experiment and innovate, and tailor programs to local needs. As cuts in state funding slice deeper, it’s no wonder we read stories of schools offering a stripped-down curriculum, devoid of the many amazing cultural, academic, and athletic experiences that we know have the power to light fires. Just when we should be broadening our children’s horizons, we are instead narrowing them. A broken promise leaves our children the lesser for it.